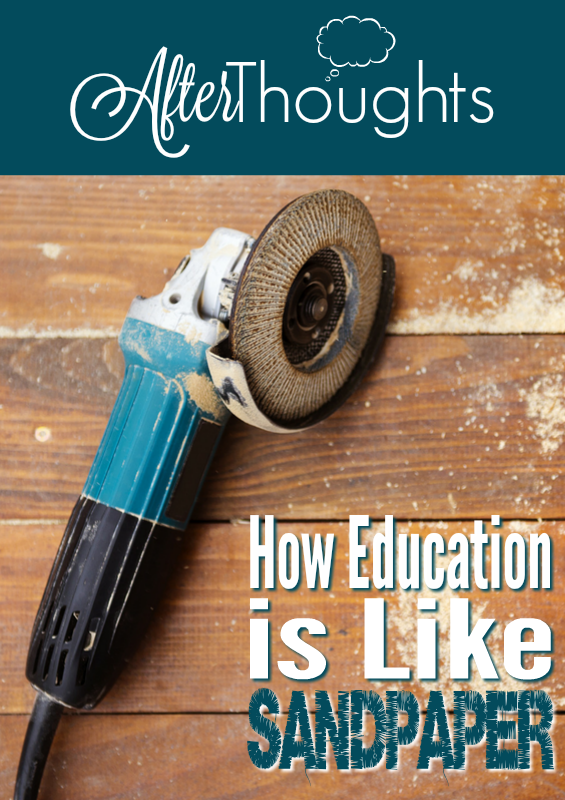 What if we could put together Charlotte Mason, Socrates, Aristotle, and MBTI as a way of understanding one aspect of education? Wouldn’t that be … totally daring? And also totally fun? That’s what we’re doing today. It’s like a party for your Afterthinking mind! 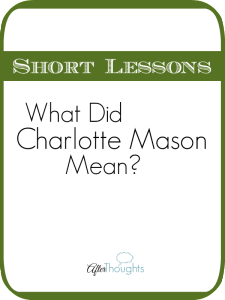 I was rereading a bit of what Charlotte Mason wrote in Formation of Character. It’s quite lengthy, so we can only look at part of the section she calls Better-Than-My-Neighbor, but it’s brimming with good lessons for us! Euthyphro knew as well as anyone the love and reverence due to a parent, but he allowed this single conception, — of justice, without regard to persons, as pleasing to the gods, — to occupy his mind exclusively. It is debatable whether or not Euthyphro’s father was a murderer, but the fact remains that Euthyphro brought murder charges against his own father, and credited himself with piety because of it! To Euthyphro, justice was the whole of piety — there was no other aspect or consideration. [E]very foolish little piety we accept as the whole duty of man makes us the less capable of just, liberal, and reverent thought; and we cannot be more in any situation than our own conception of what that situation requires. [T]he crank is not a harmless person. He is bad for himself and bad for other people. [T]he crank … is a person who errs by excess. It is not always that he does not know, but that he allows one aspect of a subject to fill his mind. The time may come when we shall consider in the ordering of our lives the Aristotelian doctrine of the Mean, not because the Mean is safe and comfortable, but because excess is injustice, and no one may allow himself to be carried away by a single idea. The school curriculum should be an exemplification of the doctrine of the Mean as regards both studies and students, and should not be allowed to depend for its success upon the extremes of emulation or ambition. She relates this to her principle of offering a broad and generous curriculum: this curriculum has a tempering effect — it can accomplish the Aristotelian Mean — by the natural balance it provides. There is no specialization in it, you see. But she doesn’t just mean breadth in studies — she specifically says it must be broad in regard to studies and students. Here she is getting at internal motives. The students must be guarded from their own various desires for distinction. These two aspects — breadth in regard to students as well as studies — are a great protection against all sorts of injustices. In other words, this is how virtue is developed. So what in the world does this have to do with personality types a la MBTI? As I see it, this is a place in which these principles can be applied, to the great benefit of our students. We type our children and gain insight into raising them. In order to use this information wisely, though, we must keep in mind both Miss Mason’s example of the crank, as well her exhortation to pursue the Mean. Let’s take the question that came up last week: do I treat introverts and extroverts differently when it comes to narration? The answer was yes (a little) but mostly no. Let’s consider one Mean between two extremes. The first extreme is the person who needs to think — possibly for hours — before saying anything at all ever. The other extreme is the person who never thinks before speaking. We all instinctively know that there are times when we need to be able to give an answer quickly. We also know that no one likes to listen to a verbal processor go on and on for hours. The virtuous Mean is somewhere in the middle. In this situation, personality typing may show us which extreme a child may tend toward. It’s an oversimplification to say that introverts would be one way while extroverts would be the other, which is why all four letters matter so much. This is why I see MBTI as a tool. Yes, it helps me know how to reach my child. Yes, it signals to me where he might excel or struggle. But beyond that, I think it shows me where his extremes might be. Certainly not all of them, but still there is so much to be leveraged once I know my child’s type. Virtue is something like smoothness. Nothing is jutting out at angles, nothing is caving in or collapsing on one side. Everything is nicely balanced. It’s beautiful. But we aren’t born virtuous are we? Instead, we all have bumps and rough places sticking out all over the place, to say nothing of the cavities and holes! 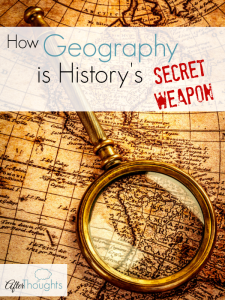 The geography of each person is a little different, but the need for sandpaper and patching is evident nonetheless. If Aristotle’s Golden Mean is a description of perfect virtue — all smooth and round — , MBTI is like a topographical map revealing to us where the excesses and deficiencies might be. But what is the sandpaper? What is the filling? How does this bumpy object become smooth? [W]ide knowledge of men and events is a necessary foundation for convictions which shall be just as well as reasonable. 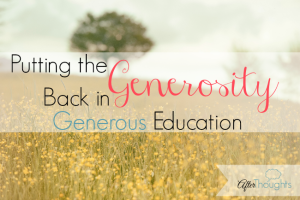 When the curriculum covers much ground, progresses without belaboring, offers great thoughts — all the while being managed by a mother-teacher who can even out her child’s motives and aspirations — when every lesson does its job of smoothing in a way that is almost imperceptible to both student and teacher because it is so natural, well then … this, my beloved Afterthinkers, is how education can be like sandpaper. Much and varied knowledge, the habit of study (begun early and continued through life), some acquaintance with the principles of an ordered moral life, some knowledge of economic science, should help in the making of well-ordered, well-balanced persons, capable of living without weariness, and without a disordered desire for notice from other people. Glad to read this. We are finding Little Man has a strong, strong LAZY streak, on top of dealing with ADHD. And an aversion to doing anything that he doesn’t absolutely LOVE to do. This is reminding me that we all have some pointy bits, though I would like to think that some people’s pointy bits are more pointy than other people’s pointy bits. And for me to sand down those corners, so this square peg can fit, somewhat, in the round hole is not all bad. He will never be round, but those pointy bits need to be less pointy to be a full and flourishing person. I need that reminder when things get hard (and they have been this last week). Thank you, Brandy. I really enjoy your perspective. 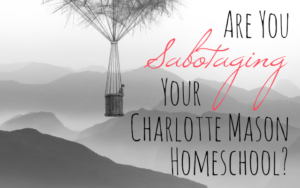 Staying near the mean is such a difficult task for me, and it is part of what has drawn me to Charlotte Mason. I know our whole family will benefit from a bit of evening out. Thanks for articulating this matter with such great metaphors, I’ll just keep on sanding away the splinters! Oh. My. I love this. the whole period of their instruction. I suppose this is why the mean is Golden? I *love* this! When I first read that section in Ourselves, I started seeing intemperance *everywhere* in my house — we have a lot of passionate people here, and I think it’s easy to let them get sucked in to the point of obsession. And initially, I thought that obsessions concerning harmless things — where there were no immediate obvious consequences — were okay. It took CM and Aristotle to wake me up in this area. So then I just jumped to the Renaissance — maybe this is the power of the Renaissance man? He is fully balanced? Say you have a child passionate about reading, i.e. Takes school books and reads them entirely when you think he’s playing, will stay up all night to finish a book, etc. how do you help them be more balanced? I don’t know how old your child is, but my oldest guy was very much like that as a little boy. I decided he was just going to have to learn to play outside for many hours per day because it was good for him, but because it was hard for him, we started with a really short period of time — 5-10 minutes, I believe. I set a timer, and he had to go out for that period of time and entertain himself. The next day, it was a little bit more, and so on and so forth. So it was more like training in anything else at that stage. Sometimes, he gets really caught up in things even now, but I’ve taught him about balance and his biological need for sunshine and exercise, so at this point, a short conversation seems to do it. I don’t know if that is exactly the sort of answer you are looking for?